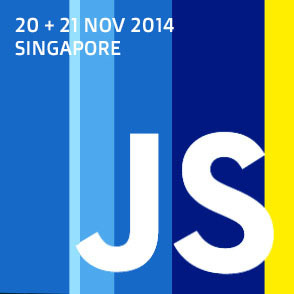 Last year I was sent to training by Exilesoft(Pvt) Ltd for the JSConf 2014 Asia conference held in Singapore. It was an awesome and informative event, got chance to meet people from some popular companies like PayPal, Spotify, Github, Firefox, King(Candy Crush) and many others. So I would like to share some information and some useful resources I managed to gather their in the conference. The Conference was held for 2 Days.